Office 365 is the cloud service most organizations use. 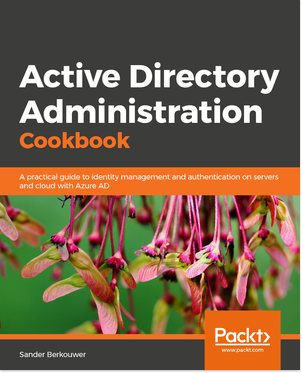 Some of them are not be aware Azure Active Directory lives underneath their cloud service or behind the ‘Office 365 Identity Platform’ Relying Party Trust (RPT) in Active Directory Federation Services (AD FS). That’s why I’ll present on Azure AD Connect on NCComms’ Office 365 and SharePoint Connect 2018 conference in Haarlem from November 13th 2018 till November 15th, 2018. The Office 365 and SharePoint Connect 2018 conference presents news and announcements from Microsoft Ignite as well as deeper dives into the key topics across Office 365, SharePoint, Azure, OneDrive and Teams. Speakers also include material on wider industry trends such as AI. Learn how you can move yourself and your company forward with the expert speakers who share their experience, knowledge, and best practices, plus real-world project insights. PLUS – You also have the chance to find out more from the experts who bring you the very latest “What’s new” straight after Microsoft Ignite. The Office 365 and SharePoint Connect 2018 conference returns to the Netherlands for the eighth year, this year. Speakers for this year’s Office 365 and SharePoint Connect 2018 include Adis Jugo, Bill Ayers, Donald Hessing, Jussi Roine, Maarten Eekels, Patrick Guimonet, and my buddies Mustafa Toroman, Sasha Kranjac and Tomislav Lulic. New hybrid cloud scenarios introduce new identity challenges. But how do you overcome these? How do you properly design and implement Hybrid Identity in real world scenarios? In this demo-packed session I turn Microsoft’s free Hybrid Identity ‘bridge’ product, Azure AD Connect, inside out, showing all the good stuff, but also the gory details! Join some of the very best independent experts from around the world, and Microsoft, as they come together at Office 365 & SharePoint Connect this November in the beautiful city of Haarlem, Netherlands.